Part of being a mouse detective means people are always asking me about their mice problems. Recently, at a family gathering, someone asked me if I have ever had a situation where Fresh Cab® didn’t do the trick. They knew I was passionate about this product but they still had reservations that a natural product could REALLY work. I replied that Fresh Cab® Rodent Repellent really does work, and even comes with a 100% satisfaction guarantee. In fact, one pouch of Fresh Cab sells every minute and its return rate is less than 2%. 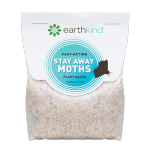 EarthKind® takes its product’s effectiveness and customers opinions very seriously. 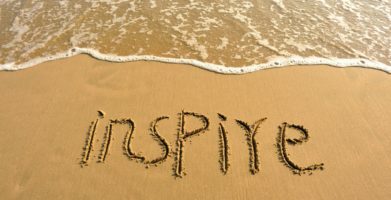 But, if you are having problems with the products success, here are a few things to consider. -How long do the pouches last? -How many pouches do I need to use? -Does Fresh Cab have an expiration date? -Why is the product still not working for me? So, just how long do pouches of Fresh Cab last? When determining how long the pouches will last for you, there are a few things to consider. First, think about the air flow in the room or building where you are using Fresh Cab. Are doors and windows frequently opened? 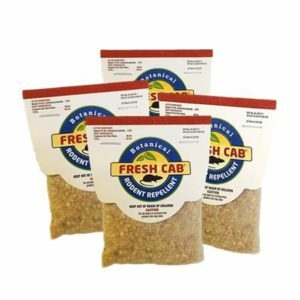 If the spaces where you are using Fresh Cab get a lot of air flow, the scent of the product (which is what chases the rodents away) may not last as long as it would in an enclosed area such as an attic or basement. Also consider the climate of the area you are treating. Scent evaporates more quickly in warmer environments than in cooler ones. Fresh Cab has been shown to last up to 90 days (3 months), but effectiveness may be influenced by air exchange rates and temperature conditions. How many pouches do you need for your space? When deciding how many pouches to use, take note of the size of the space you are treating. For preventative use in non-infested areas, use one pouch for every 125 square feet. 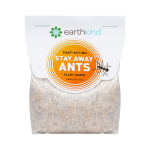 If your area is currently infested, increase your use to one pouch for every 8 square feet for a stronger scent. There is no risk of using too much, but if you use too little, it may not be as effective. What is the expiration date of Fresh Cab? Fresh Cab doesn’t last forever. Pouches are individually wrapped in a material that traps in the scent. Shelf life is typically expected to be about 3 years. Once unwrapped and placed out for use, your nose is the best indicator to detect when Fresh Cab needs to be replaced – you will know when the product has expired by its lack of scent. Why is the product still not working for me? Baits, poisons and traps are not recommended to use in conjunction. Because Fresh Cab is a product that works through its scent, it needs to be used by itself. If you are using it with baits or traps you are inviting them in to eat, but using Fresh Cab to chase them away. A hungry rodent may tolerate the scent for a short time to gain food. A large infestation may be too much for Fresh Cab. The product works best for preventative measures and driving out a small number of rodents. 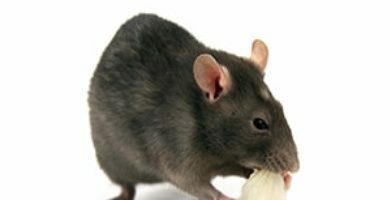 If an area is overrun, typically a professional is needed, not only to drive them out, but to also recommend proper cleanup to avoid the danger of disease spread by these rodents. Don’t forget to remove the outer plastic bag. This may seem silly, but customers frequently ask about the removal of the plastic bag. If the pouch stays in the air tight bag, it will not let out enough scent to get the job done. Fresh Cab can be a huge benefit to you and your family. Nothing feels better than knowing that you don’t have to share your house with unwanted mouse guests and your family doesn’t have to share the same environment with harmful poisons. Using Fresh Cab correctly is key to making sure that it works wonders for your family and property just like it does for mine. Part of being a mouse detective means people are always asking me about their mice problems. Recently, at a family gathering, someone asked me if I have ever had a situation where Fresh Cab® didn't do the trick. They knew I was passionate about this product but they still had reservations that a natural product could REALLY work. I replied that Fresh Cab® Rodent Repellent really does work, and even comes with a 100% satisfaction guarantee. In fact, one pouch of Fresh Cab sells every minute and its return rate is less than 2%. 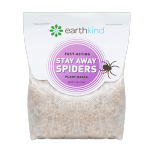 EarthKind® takes its product's effectiveness and customers opinions very seriously. When determining how long the pouches will last for you, there are a few things to consider. First, think about the air flow in the room or building where you are using Fresh Cab. Are doors and windows frequently opened? If the spaces where you are using Fresh Cab get a lot of air flow, the scent of the product (which is what chases the rodents away) may not last as long as it would in an enclosed area such as an attic or basement. Also consider the climate of the area you are treating. Scent evaporates more quickly in warmer environments than in cooler ones. Fresh Cab has been shown to last up to 90 days (3 months), but effectiveness may be influenced by air exchange rates and temperature conditions. When deciding how many pouches to use, take note of the size of the space you are treating. For preventative use in non-infested areas, use one pouch for every 125 square feet. If your area is currently infested, increase your use to one pouch for every 8 square feet for a stronger scent. There is no risk of using too much, but if you use too little, it may not be as effective. Fresh Cab doesn't last forever. Pouches are individually wrapped in a material that traps in the scent. Shelf life is typically expected to be about 3 years. Once unwrapped and placed out for use, your nose is the best indicator to detect when Fresh Cab needs to be replaced - you will know when the product has expired by its lack of scent. Don't forget to remove the outer plastic bag. This may seem silly, but customers frequently ask about the removal of the plastic bag. If the pouch stays in the air tight bag, it will not let out enough scent to get the job done. string(37) "When Using Fresh Cab, Don't Forget..."